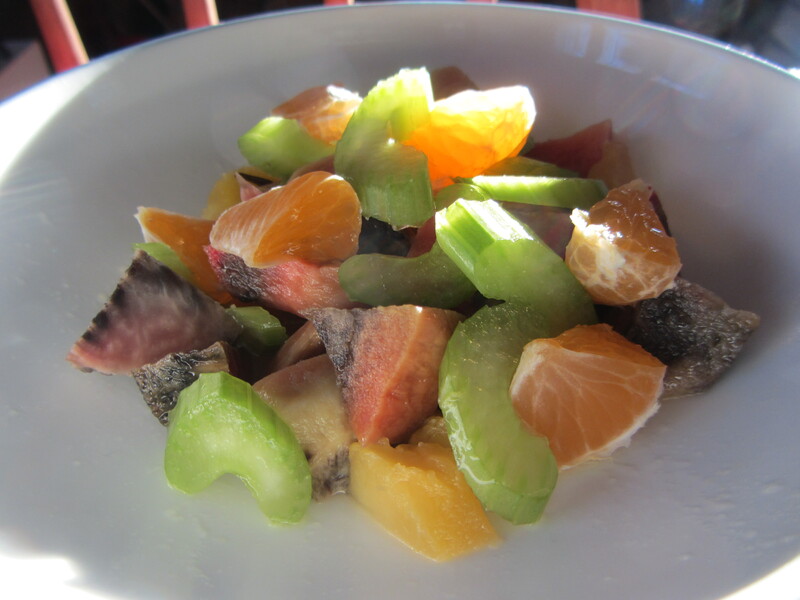 ABC… that would be Acorn squash, Beet, Celery and Clementine salad. I used the leftover roasted beets and squash from Sunday’s post, added some fresh celery and clementines, poured some fresh-squeezed lemon juice over it and enjoyed a crunchy yet comforting breakfast salad. Easy as a b c….. 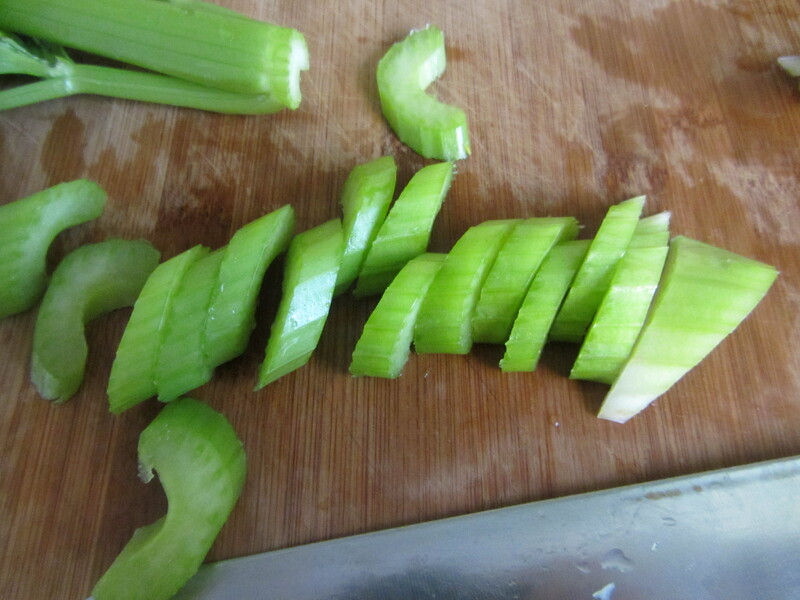 Process Wash the celery well. Slice it into thin “C’s” and set aside. Peel and section the Clementine; cut each section into thirds. Set aside. Cut the leftover beets and squash into bite-size pieces. Arrange the roasted squash, beets, celery and Clementine pieces in a bowl. Squeeze the lemon and pour juice over salad. Finish with a pinch of sea salt and fresh milled black pepper to taste. I loved Ms. Nancy’s cooking class so much.! I have been in this cooking class for two years and I would love to sign up for another one. I tried a lot of new foods like winter squash, cardamom, Brussels sprouts and kale. 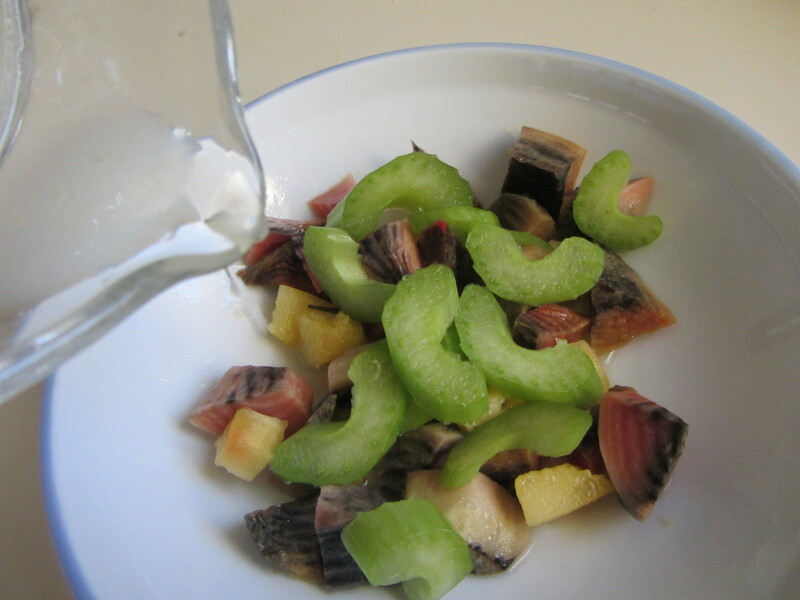 My favorite salad was the kiwi, carrot, radish salad. Not only did we cook and eat, we also did labs about food. We used rulers to measure the size of plants. We also explored stone fruits and their ripe season. Now in my house we have window boxes and I am growing cherry tomatoes and basil. 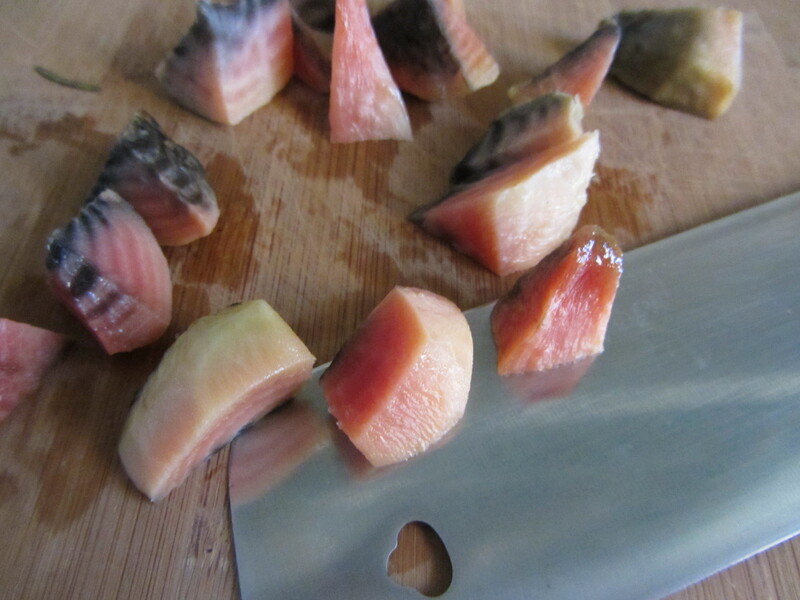 I learned that we can use a lot of different tools to cook, not just our hands and senses. We used safety knives, potato peelers and a carrot sharpener (I wonder if you could sharpen a pencil with it?) !!! Because of this class I can help papi make dinner and I will try any new food at least once to see if I like it. Thank you, Ms. Nancy for making cooking fun and interesting and helping me be excited about food. - Love, K (a 7-year-old boy).